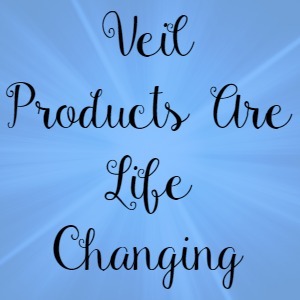 When it comes to applying Veil Cover Cream there are various methods to apply. Below are three of our favourite methods to achieve the best application possible. 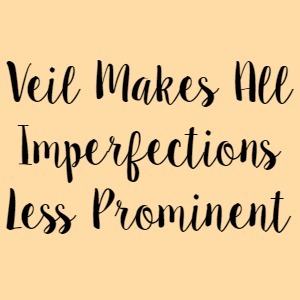 The first and most popular method of applying Veil Cover Cream is to use your finger tips. For this step we highly, highly recommend washing your hands thoroughly and ensuring that they are free from as much bacteria as possible. This not only stops germs from spreading but also prevents the risk of breakouts, blemishes and spots from occurring. 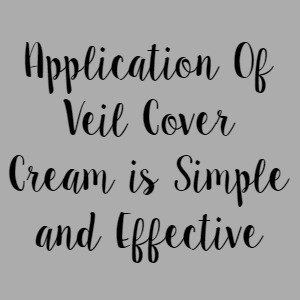 The reason why this method is so popular is that the natural heat of the finger tips gently warms up Veil Cover Cream making it very easy to blend into the skin. 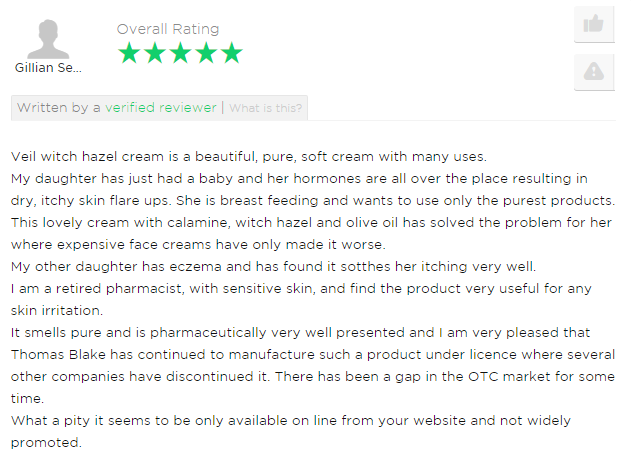 Rather than rubbing the Cover Cream into the skin we recommend gently patting the product onto the skin. 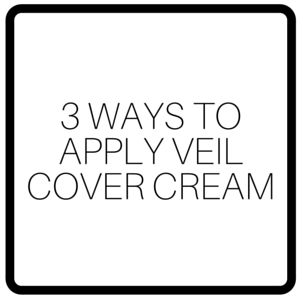 This prevents dragging of the skin and ensures that you get the best possible coverage. 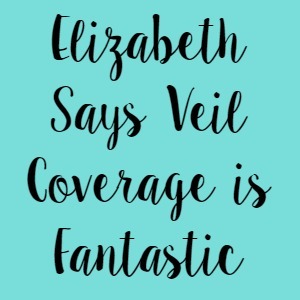 Another method you can use to apply Veil Cover Cream is by using a stippling brush. A stippling brush is a brush that is typically made up of two types of bristles. The brush can either be used for buffing foundation or “stippling” makeup onto the skin. But what is stippling? It basically means that you tap the brush onto the skin, making small dot like marks. Eventually you build these dots up to create a flawless airbrushed look. This creates a streak free finish that is ideal for things like photo shoots and special occasions. We find this method particularly good for covering up Tattoos. 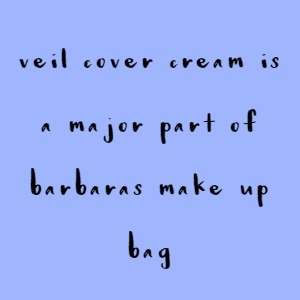 And last but not least, you can use a makeup sponge to apply Veil Cover Cream. For this method we recommend using an egg shaped sponge as its smooth curved shape means that harsh lines and edges are blended out easily. 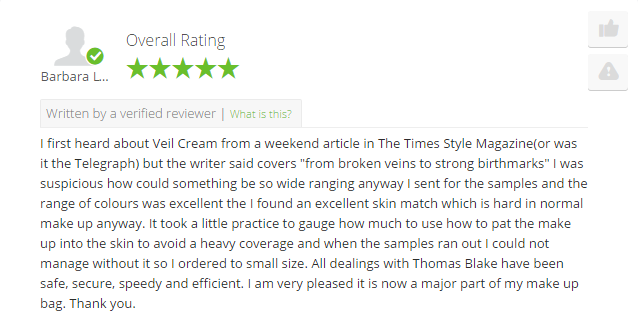 To apply the Cover Cream, you simply use a bouncing motion on the skin which is similar to the stippling method that you use with a brush however, by using the sponge you create a softer, more natural look that is lighter on the skin and more suitable for everyday wear. 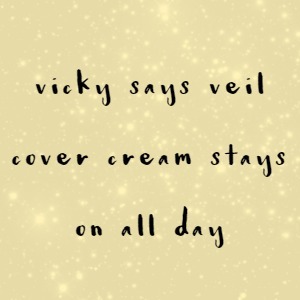 When it comes to trying out Veil Cover Cream for the first time we highly recommend purchasing one of our Veil Cover Cream Sample Kits which retail at £7.95. Our sample kits are currently available in three shades, Light, Medium and Dark. 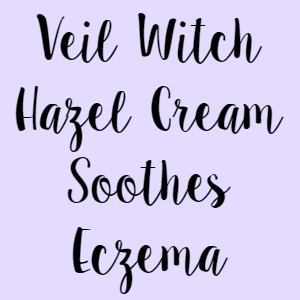 In each kit, you receive twelve shade samples of Veil Cover Cream as well as two powder samples in Translucent and Dusk which all come housed in a handy blister style pack along with instructions on how to apply. Why do we create sample kits and why is purchasing one essential? 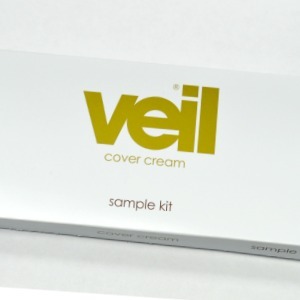 In the Veil Cover Cream range, we have over 40 shades for a whole variety of skin tones. Some creams have warm undertones, some contain neutral undertones and some contain cool undertones. As you can imagine some of our shades are a little similar and because our range is so big, we, unfortunately, cannot recommend shades. We think the best way for you to find your perfect match is to try out the shades in natural daylight to ensure that you get the best match possible before you purchase one of our full-size jars. If you’re wondering what shades are available in each pack, the Light Sample Kit contains Cream, Vanilla, Wheat, Natural-Light, Biscuit, Medium, Natural, Natural-Medium, Dark, Peach, Almond and Oyster. The Medium Sample Kit contains Beige, Honey, Latte, Suede, Sunglow, Suntan, Natural-Tan, Tan, No 3, Caramel, Cinnamon and Rose. And the Dark Sample Kit contains Brown, Mocha, Olive, Umber, Walnut, Cocoa, Ebony, Coffee, Chestnut, Hazelnut, No 2 and Yellow.